Is Marriage A Must Have For You? Last night I hung out with The Husbands again, and we had another dope conversation. We hung out in December and chatted about How to Level Up in the New Year. 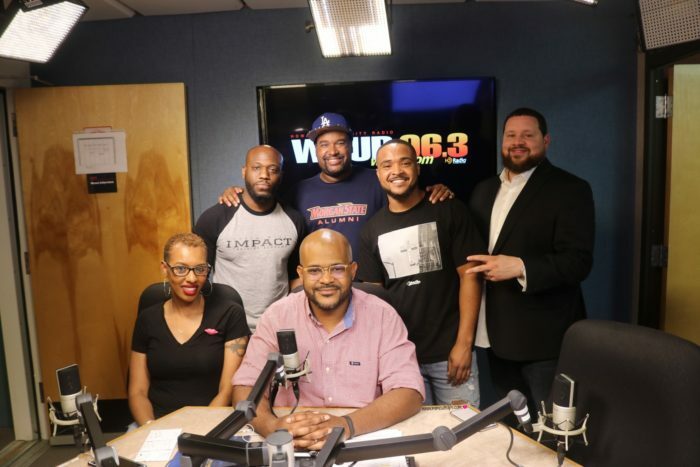 This time we chatted about what women want. We already know that one answer does not fit all, but do we have to do what society says we should do when we should do it? As far as I can remember I have always been a non-traditional gal. In High School, I remember declaring never getting married and never having children. My life plan was to be a dope Auntie which I have been since I was in the 8th grade and traveling the world. God must have been amused because that is not the hand I was dealt. Fast forward 20+ years and well I got married at 18 and divorced at 22. I have only been single 2 years of my adult life and in a relationship with my boyfriend aka Babe for 14.5 years. Oh, and we have two kids. 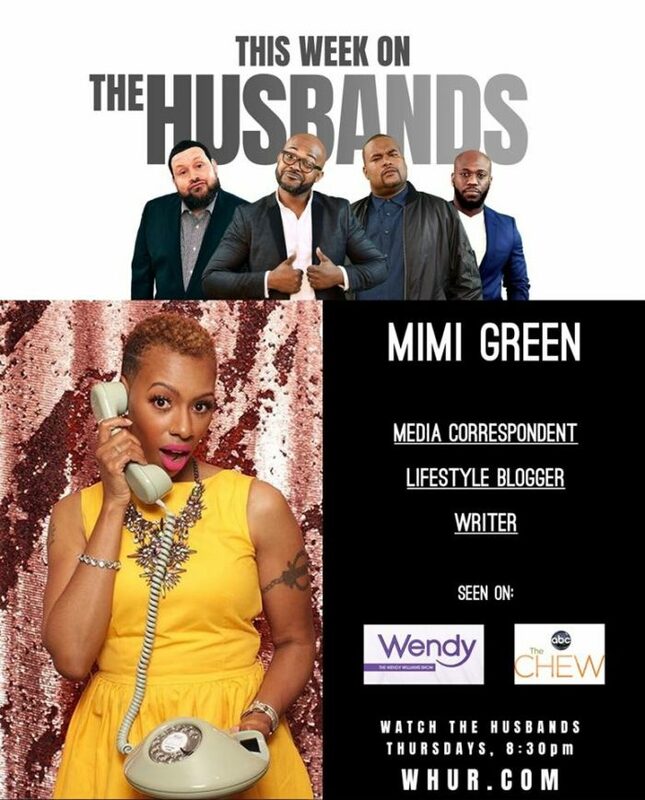 Mi and The Husbands, I love being on their show. It is always a good time. The Husbands came for me, but I was ready, I was open, and I was honest. We laughed a lot and I shared why marriage was not my goal when I met Babe. We talked about what is real and the pressures society puts on us. You know we are supposed to be at this place in your career by this age. You need to find you a good man by that age. You need to have 2.5 kids and dog by this age and so on. My goal was to be happy and live a full life, and I am out here living my best life against the societal norms. Congrats to The Husbands who were formerly the Real Husbands of Largo for moving up a bit in the game. 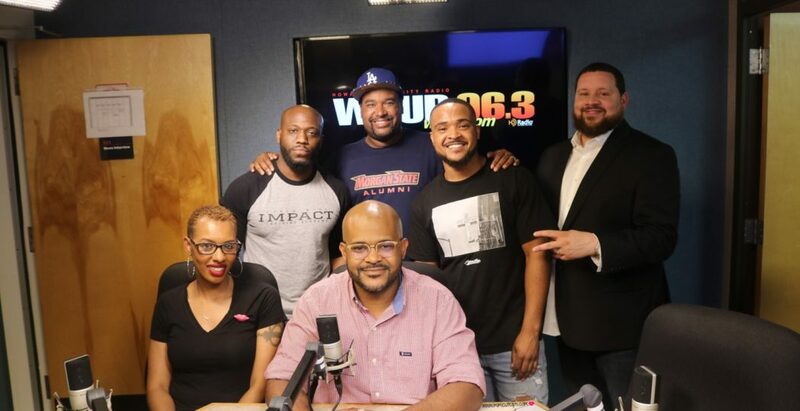 They are now members of the WHUR 96.3 radio station family. 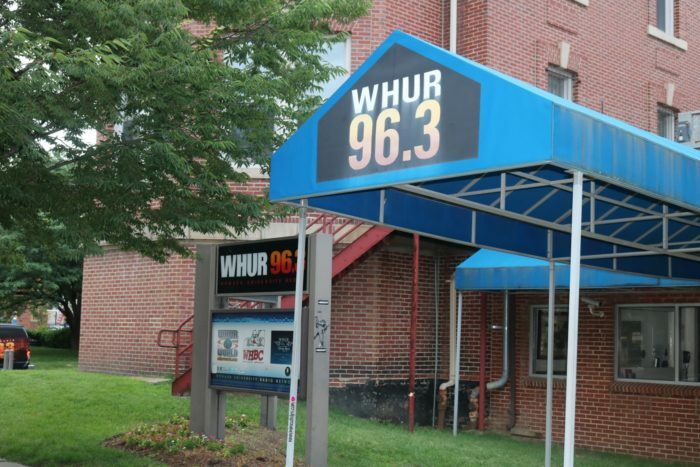 This is the radio station located on the Howard University campus. They stream their show live on Thursday at 8:30 PM on WHUR.com or WHUR on FaceBook. Do you feel pressured to live by societies standards? Chat with me in the comments below or FB, IG, and Twitter. There is nothing wrong with that. Love comes in a variety of forms, that is why we have options. Weddings are pricey. You are doing what is working for you and your family, and that is what matters. You are so right, and most of all we are happy. Awww. This was a nice read! I wouldn’t get married again, mainly because planning a wedding was horrible. LOL! I’m so not the wedding type, but a JOP is my cup of tea. No pressure at all. I did not want the white house, picket fence or to be married by a certain age. I did however get married at age 26 and have been married for almost 19 years now. When I got married, we had no timeline or desire for children per se but became parents 7 yrs ago. Again no pressure. Your life is yours. No two are the same. That is awesome, you guys are coming up on a big milestone. That is nice that you guys enjoyed one another before having kids. I’m non-traditional as well. My husband and I have been together since Jr. High. We had our first kid at 20 and 21. I felt the sudden urge to get married because I didn’t want to look like a stereotype. Once we figured out HOW to get married 😂, we went to the JOP when our oldest was 2 because we didn’t have the funds for a traditional wedding (even if cheap), didn’t want to deal with being center of attention, then there was the religious aspect of it all and me not having someone to walk me down an aisle. It was just too much. We’ve yet to have a wedding celebration. It’ll happen at the right time and it’ll be everything that we want. Whether we got that piece of paper or not 8 years ago, our relationship would still be the same. The stereotype pressures can be really hard sometimes. I am cracking up laughing at “Once we figured out how to get married.” Glad you found your joy. I cant wait to listen to the full show of this. I remember you saying before you werent married to Babe but thats ok because I really enjoy your family dynamic and you guys are living your best life! Keep being untraditional Mimi! Thanks, it is funny how life happens. I had another plan in mind for my life, but I’m so glad it worked out the way it did. Marriage. Been there, done that, and IF I do it again, it will be a while. Girl I feel you. I got married young and in hindsight it wasn’t the right thing. Now that I am a widow, I know for sure marriage will never be an option for me again. I steady boo will be perfect. Getting married young brings on another set of issues. Get you a Boo, when you are ready. Look at you doing your thang! I’ve been doing married life for almost 24 years. I never felt pressured into it because it was what I wanted to do. Thanks, they are always so much fun. That is awesome,you guys are coming up on a big milestone. Very interesting discussion. I actually didn’t realize you weren’t married to Babe. I think for me I do still want that traditional title of marriage. Kudos to you for living life on your terms. Although I say it, I think people some how overlook it. That is awesome, I believe women should have the desires of their heart. There’s a mound of internal pressures as well. Life is funny, folks that want tradition sometimes cant find it and those that are non-traditional get it and fight it the whole time. I focus on the present, being happy….. damn societal pressures! Yes to both of these. I believe in just living life and allowing the chips to fall where they may. I’ve been reading your blog for HOW LONG and I honestly never realized you and Babe aren’t married. The love is there and you’re both happy. I think loving and living life on your terms is the most important thing. I’m amused by how many people who did not realize it either. I like that people can see that love is love regardless of our martial status. I remember all of the weird reactions I got when I DID get married at 35. What? At 35? I find that people in the South get married earlier – like right out of college. I had no business being anyone’s wife or mother in my 20’s! That is the society pressures at work. Nobody has any business getting married in their teens or early 20’s. We need time to figure out who we are before we can commit our life to someone else. Yes, the more we live and grow out ideas and wants will continue to evolve. Interesting session… Funny, when I was younger, I also vowed to never get married or have children. Well… I’ve been married for a couple of decades now, but still no children. Best decision ever. I view marriage as Biblical principle rather than a societal norm. Wow, so far you have kept to what you wanted as a child. Mimi for some reason I always thought you were married. More power to you girl! Your thinking comes with much self-awareness something that most don’t have. Thanks, that might be why I’m good with it. I’ve always just lived my life. I go with the flow so long as my gut is okay with it. I got married young and honestly it was never my goal or on my radar, I just found someone that I vibed well with that I wanted to spend the rest of my life with. 12 years later I say do whatever makes you happy and feel comfortable. So many feel stifled and not supported in there relationships because they are measuring their lifestyle against norms that may not be right for them. Vibing with someone is the most important part. When ever you compare your life to someone or something it is always the thief of joy. I applaud you and everyone that does what is right for them and it’s not always going to be marriage, a house and a white picket fence. Great interview. Congrats to ‘The Husbands’ for moving up! Thanks. Joy comes in a variety of forms.